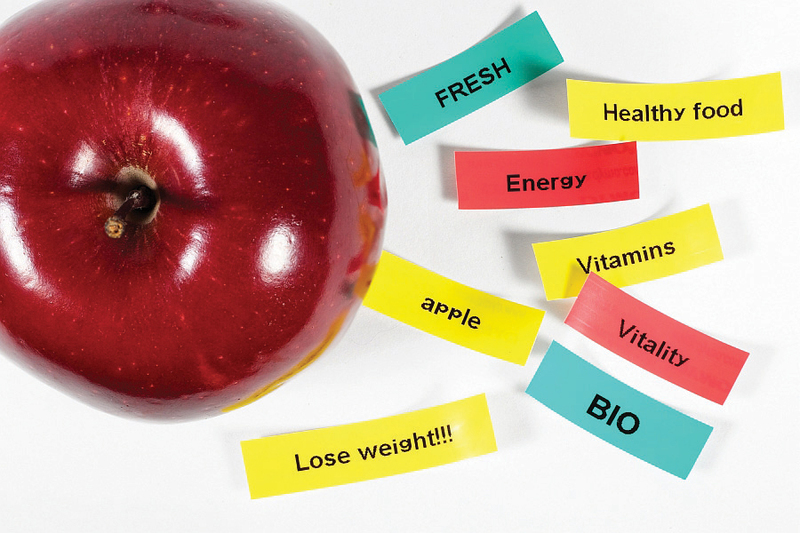 Define the components of a healthful diet. A diet must be adequate, by providing sufficient amounts of each essential nutrient, as well as fiber and calories. A balanced diet results when you do not consume one nutrient at the expense of another, but rather get appropriate amounts of all nutrients. 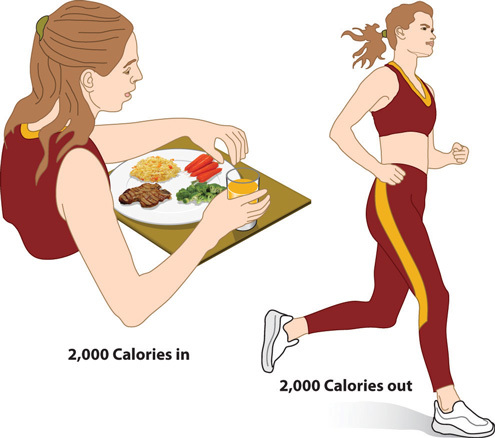 Calorie control is necessary so that the amount of energy you get from the nutrients you consume equals the amount of energy you expend during your day’s activities. Moderation means not eating to the extremes, neither too much nor too little. Variety refers to consuming different foods from within each of the food groups on a regular basis. A healthy diet is one that favors whole foods. As an alternative to modern processed foods, a healthy diet focuses on “real” fresh whole foods that have been sustaining people throughout the millenniums. Whole foods supply the needed vitamins, minerals, protein, carbohydrates, fats, and fiber that are essential to good health. Commercially prepared and fast foods are often lacking nutrients and often contain inordinate amounts of sugar, salt, saturated and trans fats, all of which are associated with the development of diseases such as atherosclerosis, heart disease, stroke, cancer, obesity, high cholesterol, diabetes, and other illnesses. A balanced diet is a mix of food from the different food groups (vegetables, legumes, fruits, grains, protein foods, and dairy). An adequate diet is one that favors nutrient-dense foods. Nutrient-dense foods are defined as foods that contain many essential nutrients per calorie. Nutrient-dense foods are the opposite of “empty-calorie” foods, such as sugary carbonated beverages, which are also called “nutrient-poor.” Nutrient-dense foods include fruits and vegetables, lean meats, poultry, fish, low-fat dairy products, and whole grains. Choosing more nutrient-dense foods will facilitate weight loss, while simultaneously providing all necessary nutrients. Does your diet contain nutrient-dense foods? Record your eating habits for one week. Note the sugary, fatty, and calorie-heavy foods you most often consume. Look at Table 2.2 to decide what you can substitute those foods with. Source: US Department of Agriculture. “Food Groups.” http://www.choosemyplate.gov/food-groups/. Balance the foods in your diet. 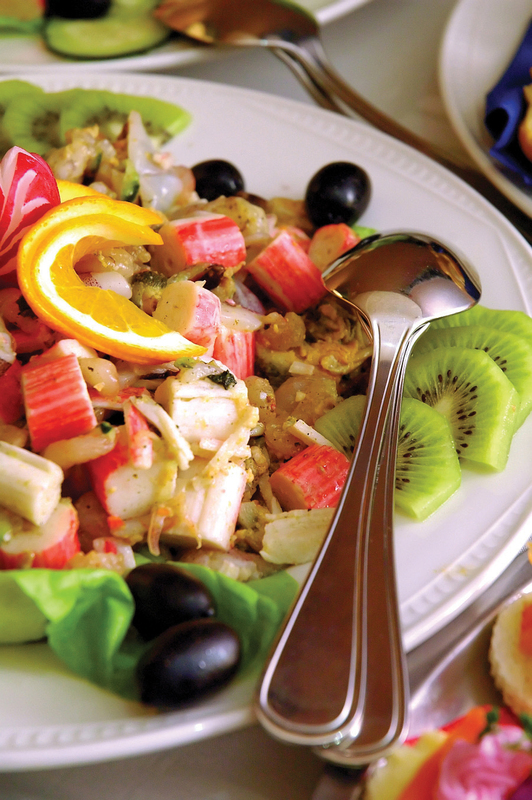 Achieving balance in your diet entails not consuming one nutrient at the expense of another. For example, calcium is essential for healthy teeth and bones, but too much calcium will interfere with iron absorption. Most foods that are good sources of iron are poor sources of calcium, so in order to get the necessary amounts of calcium and iron from your diet, a proper balance between food choices is critical. Another example is that while sodium is a vital nutrient, an overabundance of it can contribute to congestive heart failure and chronic kidney disease. Remember, everything must be consumed in the proper amounts. Eat in moderation. Moderation is crucial for optimal health and survival. Burgers, French fries, cake, and ice cream each night for dinner will lead to health complications. But as part of an otherwise healthful diet and consumed only on a weekly basis, this should not have too much of an impact on overall health. If this is done once per month, it will have even less of an impact upon overall health. It’s important to remember that eating is, in part, about enjoyment and indulging with a spirit of moderation. This fits within a healthy diet. Monitor food portions. For optimum weight maintenance, it is important to ensure that energy consumed from foods meets the energy expenditures required for body functions and activity. If not, the excess energy contributes to gradual, steady weight gain. In order to lose weight, you need to ensure that more calories are burned than consumed. Likewise, in order to gain weight, calories must be eaten in excess of what is expended daily. Variety involves eating different foods from all the food groups. Eating a varied diet helps to ensure that you receive all the nutrients necessary for a healthy diet. One of the major drawbacks of a monotonous diet is the risk of consuming too much of some nutrients and not enough of others. Trying new foods can also be a source of pleasure—you never know what foods you might like until you try them. Developing a healthful diet can be rewarding, but be mindful that all of the principles presented must be followed to derive maximal health benefits. For instance, introducing variety in your diet can still result in the consumption of too many high-calorie, nutrient-poor foods and inadequate nutrient intake if you do not also employ moderation and calorie control. Using all of these principles together will afford you lasting health benefits. A healthful diet is adequate in providing proper amounts of nutrient-dense foods, is balanced in relation to food types so that one nutrient is not consumed at the expense of another, practices calorie control by supplying food energy to match energy output, is moderate in unwanted constituents, and draws from a variety of nutritious foods. Nutrient-dense foods contribute to daily nutritional requirements while limiting caloric intake, thus allowing people to either lose weight safely or to maintain a healthy weight. Discuss the principles of a healthy diet. 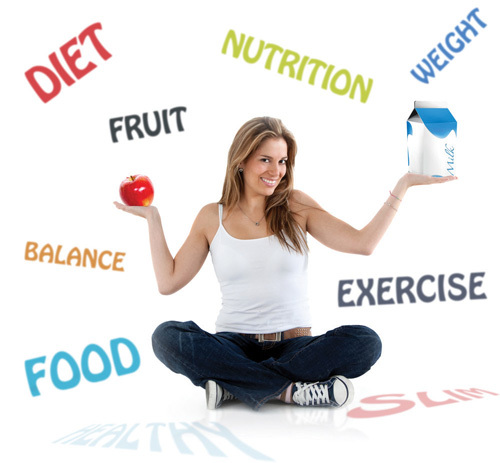 How can you employ these principles in your diet, if you are not already? Review the list of grains in Table 1.12.23. Pick one that you have not tried before. Make a dish using this grain. Discuss with your classmates your experience eating this new food.